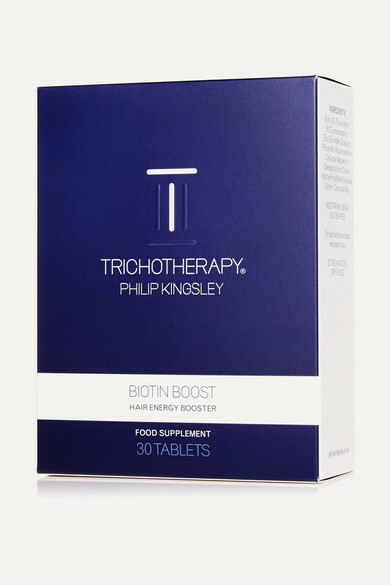 Biotin is the go-to vitamin for optimizing hair growth and PHILIP KINGSLEY's 'Biotin Boost' is a supplement that does just that. It's been developed with over 60 years of expertise and contains the same minerals that are prescribed in the eponymous founder's clinics. Created to help improve resilience, it's ideal for strengthening hair and is especially suited to those who have a low-protein diet.